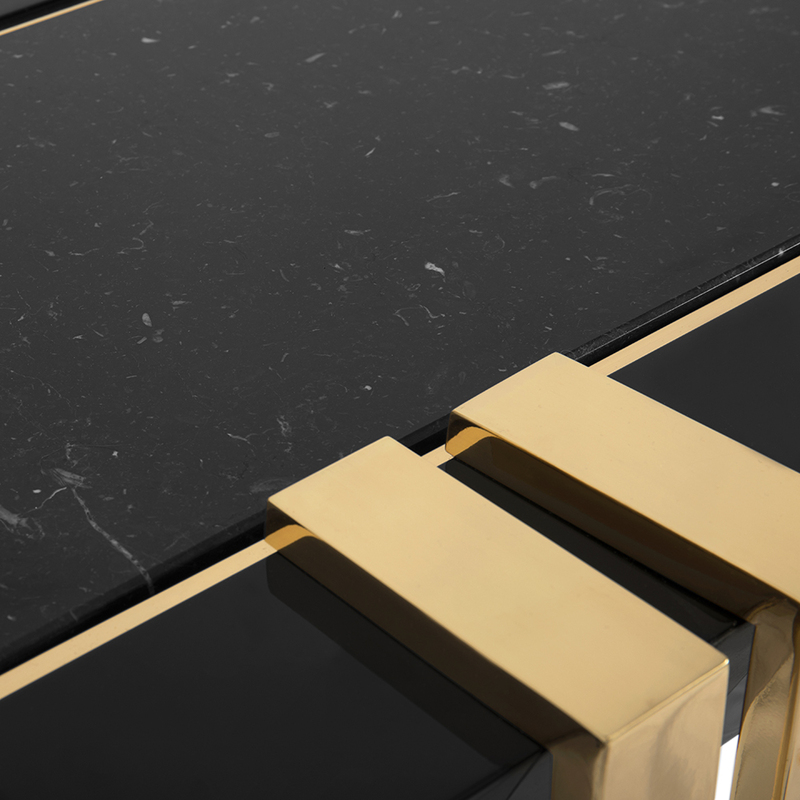 Bringing to you a sophisticated design which will revolutionise the look of any room. A beautiful combination of stone and metal. 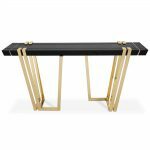 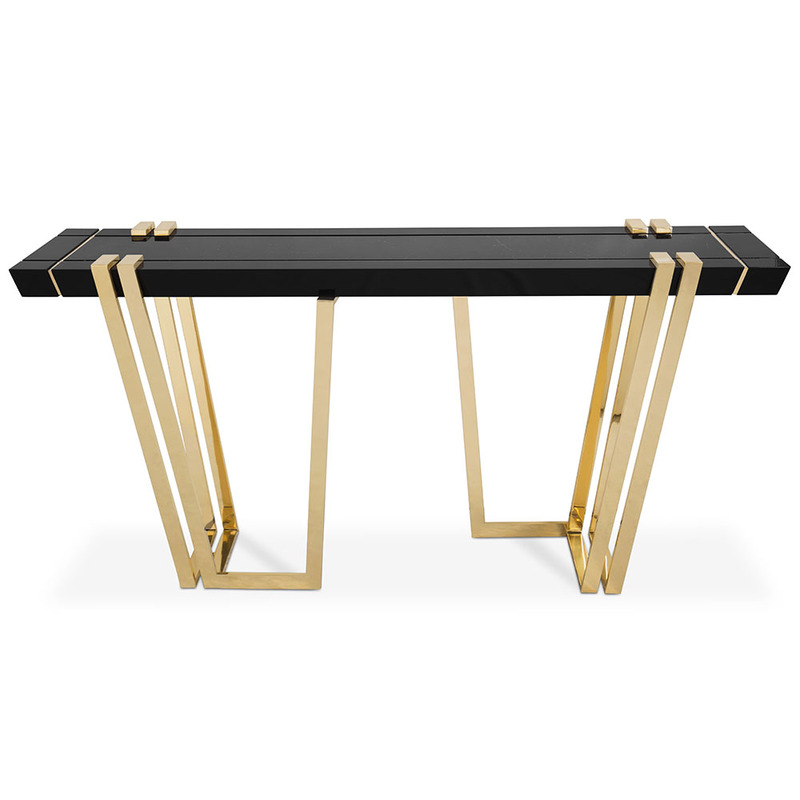 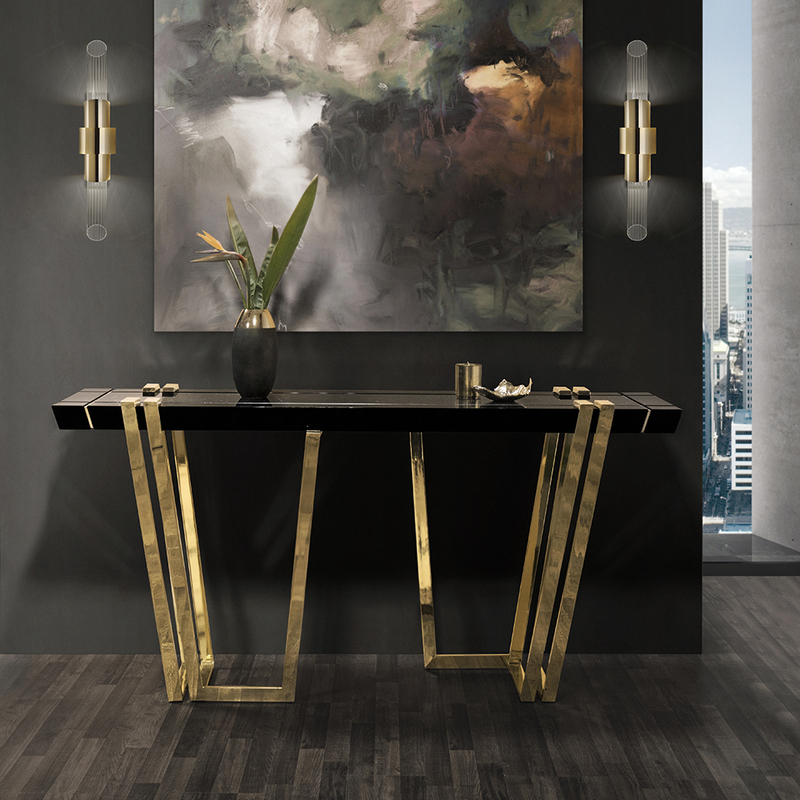 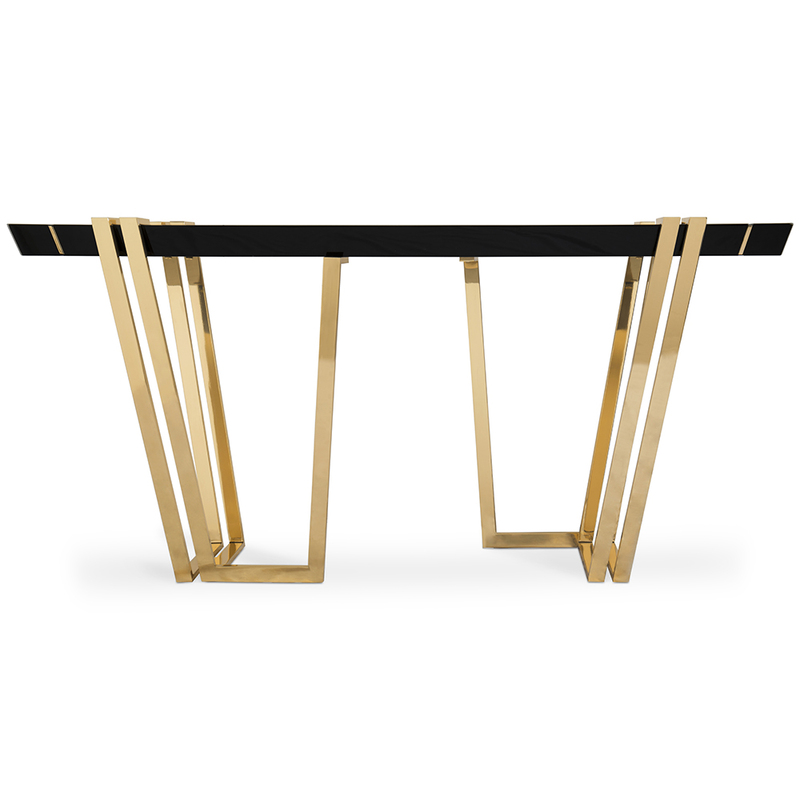 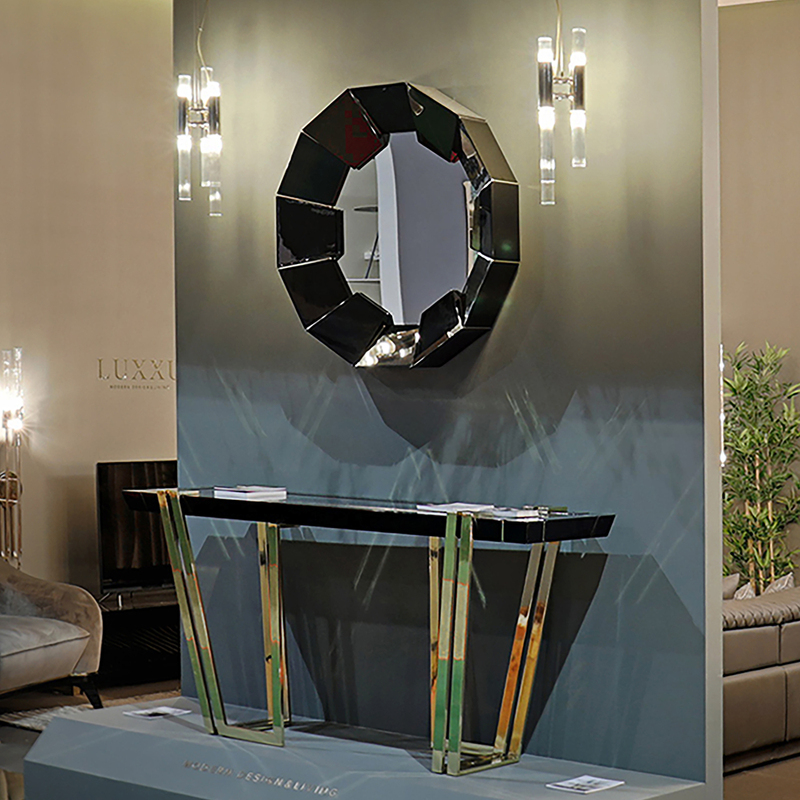 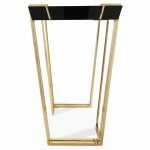 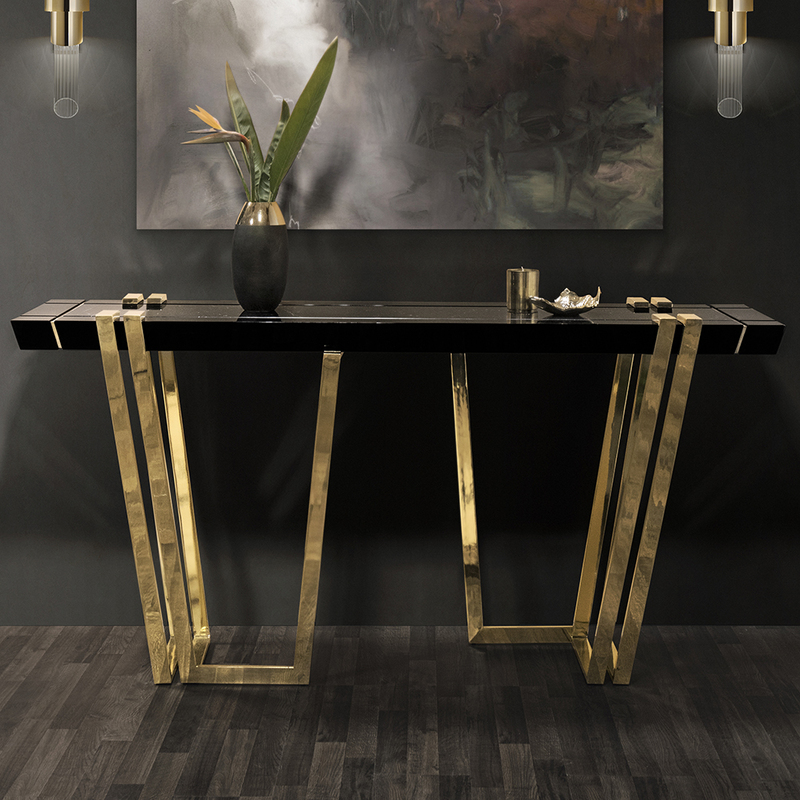 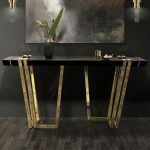 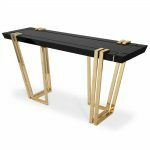 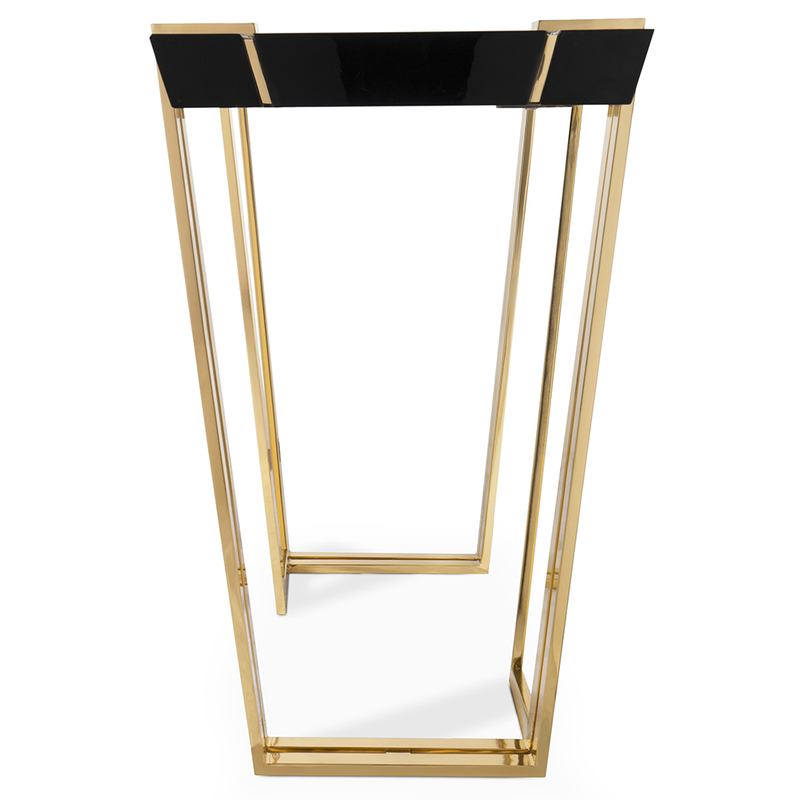 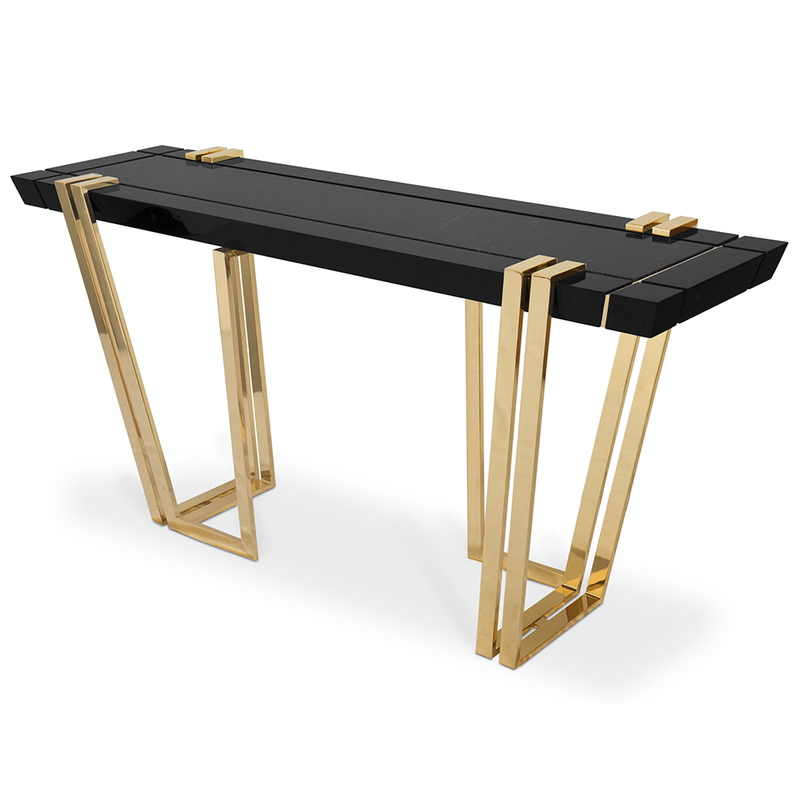 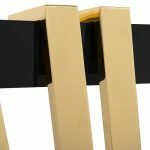 The base of the apotheosis console table is made from beautiful polished brass. 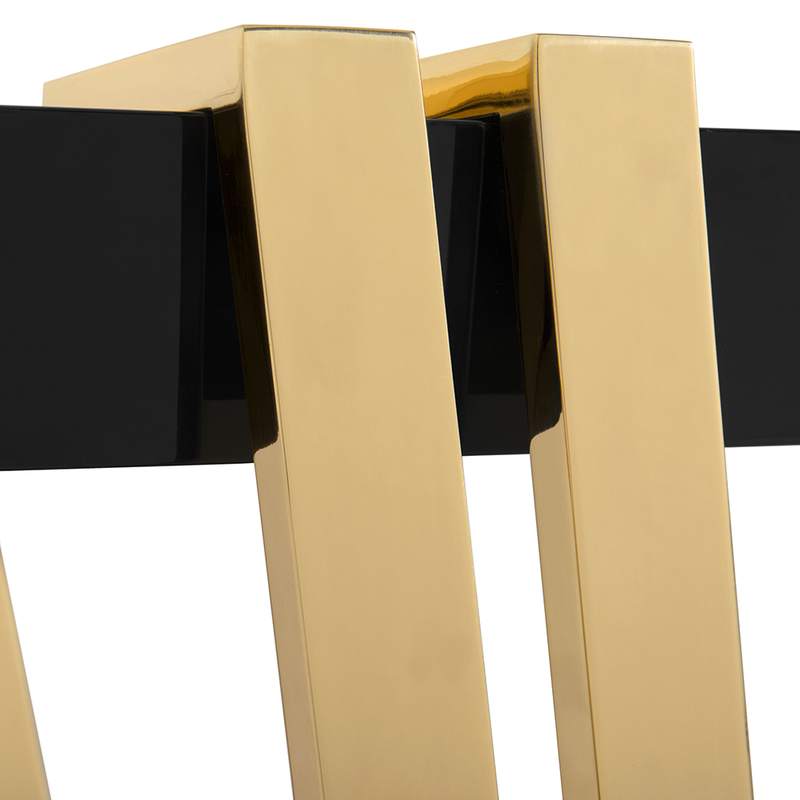 This part can also be produced in different finishes which include silver, chrome and copper. 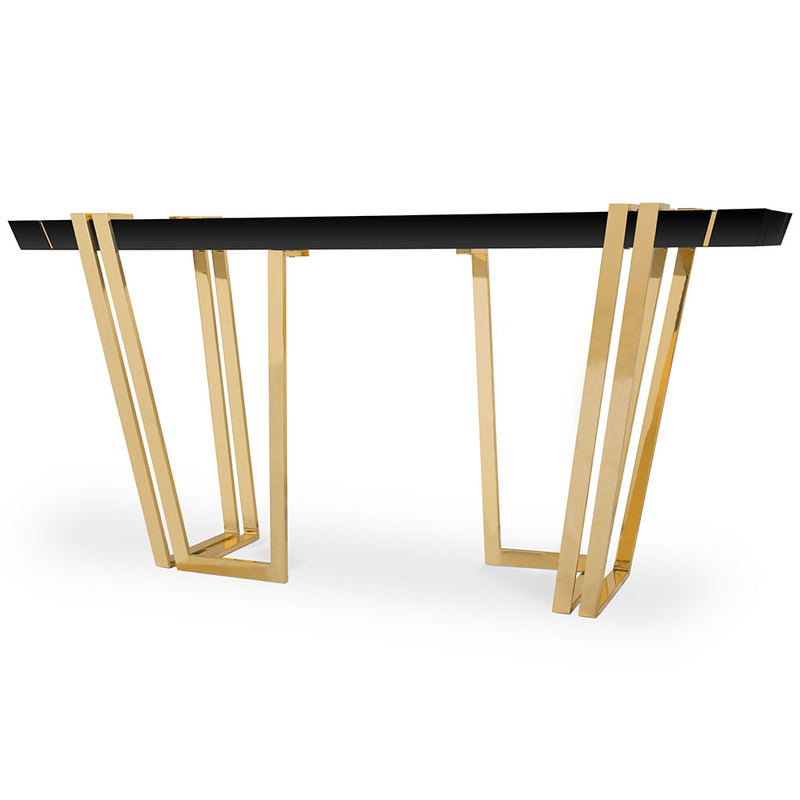 Lacquered colour options are also available. 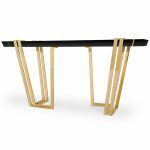 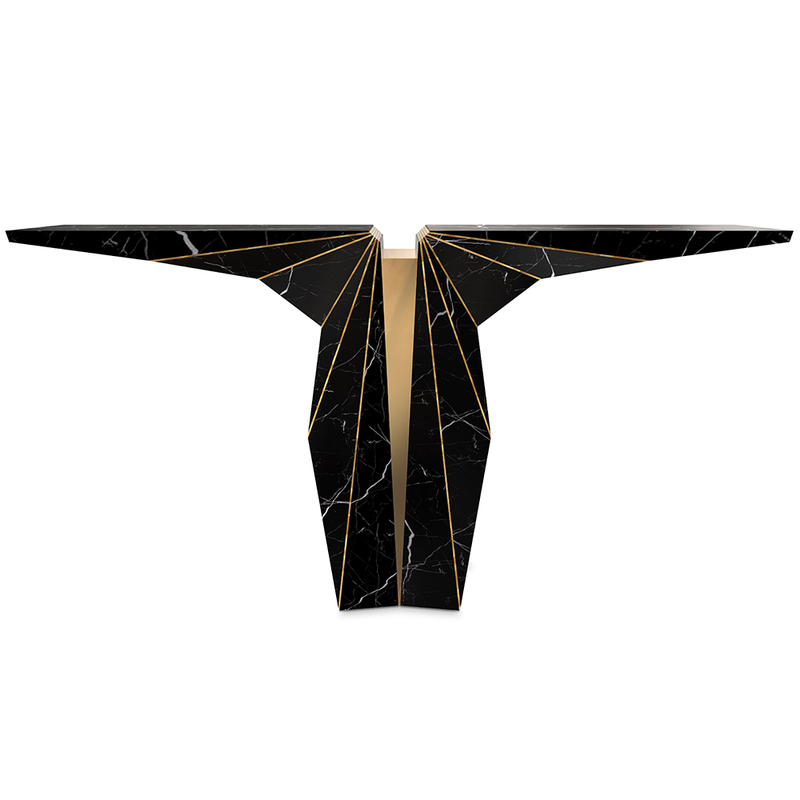 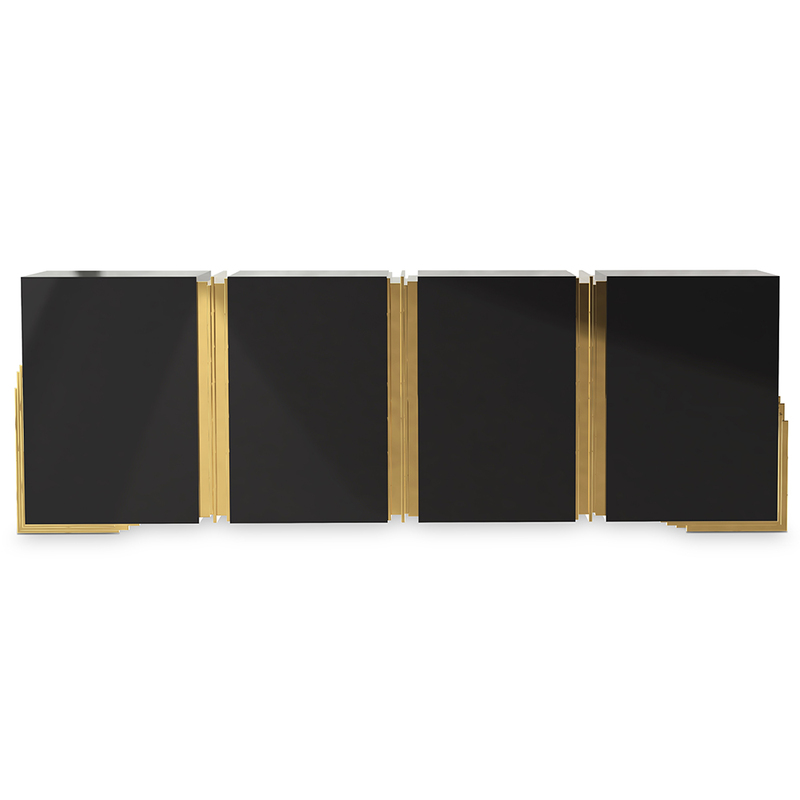 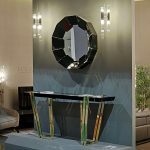 The sides of the table top are in black lacquer and consists of a black nero marquina marble insert. 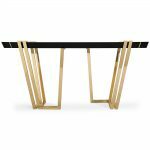 Custom sizes can also be produced on special order. Matching luxury living room furniture and luxury dining room furniture is available.